Derawar is a square fort with a 1.5km (0.93 mile) circumference and foundations dating back to the 12th century AD. 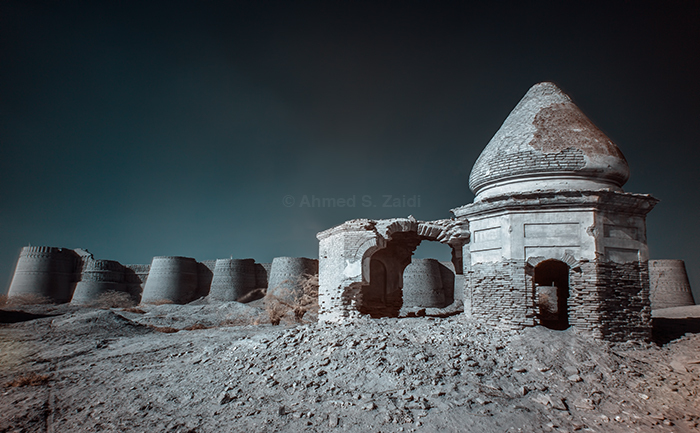 Its 30 meter high walls can be seen from far in the surrounding Cholistan Desert. This area was once the riverbed of the dried up Ghaggar-Hakra river system. It now only flows during the monsoon floods.